The Manx International Football Alliance's Ellan Vannin football team won their first ever match 10-0 against Monaco in Douglas on Sunday. 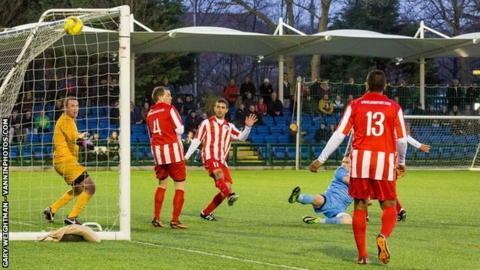 The Isle of Man side were 2-0 up inside the first two minutes and 5-0 up by half-time. Chris Bass's team carried on where they left off in the second half and netted five more without reply against a poor Monaco side. A crowd of just over 1,100 watched the match at the Bowl in Douglas. All players representing Ellan Vannin (Manx for Isle of Man) were Manx either by birth or grandfather rights. An MIFA spokesman said it was their "dream" to provide additional opportunities for Manx Players to represent their country on the international stage.